Have a cool old car that you treat like your pride and joy? Get nervous when someone parks even an inch too close to it? We understand. We’re gear-heads too! If you have a special piece of machinery in your life that you want to show off, contact us today. Whether it is a classic car, muscle car, hot rod, or vintage 4×4, we’ll may include your baby in the Classic Car Corner, a new quarterly feature each of our publications. Want to know if the baby sitting in your garage qualifies? We elaborated a little bit more for you! 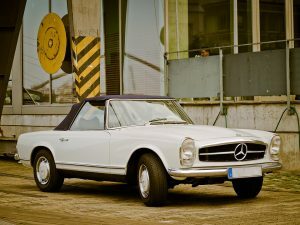 Depending on whom you talk to, their answer will vary on what makes a classic car. Most agree that it is an automobile, 20 years or older, that has been kept in good running shape or restored to its former glory. If you’ve ever seen American Graffiti, you probably know what a hot rod looks like. Hot rods are typically classic American cars with huge engines customized to be really fast in a straight line. If it’s old, looks like it can go over everything, and up to anything, it’s a vintage 4×4. If it’s high performance, it’s a muscle car. 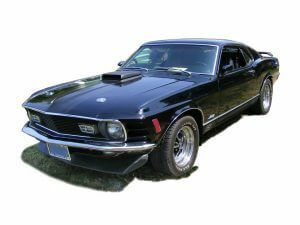 Muscle cars typically have a V8 engine that makes a good amount of power and are usually 2-door, rear wheel drive cars. If you want your four-wheeled child to be in the next Sixes Living, TowneLaker, Around Woodstock or Around Acworth, check out our latest feature on this fantastic 1975 Porsche 914 convertible and fill out the form at the bottom of the page!